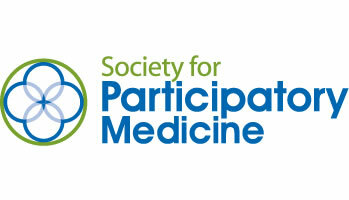 The Society of Participatory Medicine – in conjunction with ORC International – has released survey data that indicates that three quarters of patients believe that Protected Health Information (PHI) should be easily and freely shared between hospital workers, physicians and other health care providers. The lack of sharing and poor interoperability is believed to have a serious impact on the medical care that patients receive. According to the poll, a fifth of patients had previously experienced difficulty receiving medical care because their healthcare data was not shared between providers. A PWC survey indicated that it is not only the sharing of data that is a problem. When data is shared, in 60% of cases providers face significant delays accessing the required information. In addition to full sharing of information between authorized individuals, 87% of patients said that they believed that access to their PHI should be free of charge. One of the issues that doctors have to face is that providing access to PHI incurs a significant cost: Healthcare providers are required to cover costs of between $5,000 and $50,000 to implement an EHR system that allows them to share PHI with other healthcare providers. On top of that cost, they are also charged for accessing patient records on the system. The Senate Committee on Health, Education, Labor, and Pensions held a hearing this week – America’s Health IT Transformation: Translating the Promise of Electronic Health Records Into Better Care – in which it heard that one provider of EHR systems – Epic Systems – was charging healthcare providers $2.35 for access to patient records, with the charge payable per patient, per year. Epic Systems – which has a 50% market share – was the only EHR provider at the committee, although it is not the only EHR vendor that charges for EHR end-users to exchange data with other providers. While the cost may seem small on a per patient basis, those costs can add up and are significant over the course of a year. Many healthcare providers may begrudge paying extra costs to access patient records that have been loaded into an EHR system, but they are given little alternative as the full replacement of an EHR system that may have cost $50,000 to install is not seen to be worth the time, effort and disruption for the cost savings that can be made.